Noted as public ground in the 1851 plat, this square once crossed by an Indian trail, became the site of many events. In 1887 a "tent city" was erected here for laborers working on the new railroad line. Erected in 1894 the brick building was used as a village hall, library, firehouse, and jail. 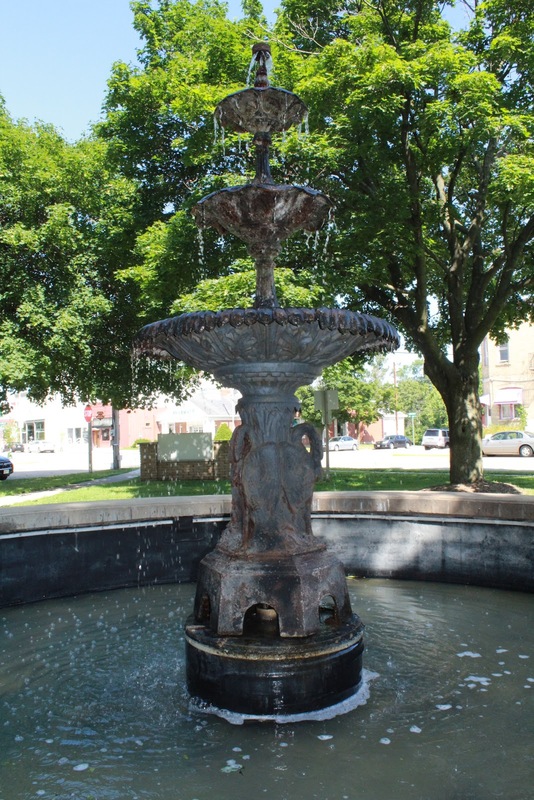 After 1900 a bandstand and fountain were added to the park. Park events included holiday celebrations, fairs, concerts, and free summer movies. Village offices and firehouse were relocated in 1923. The library remained until 1978. In the 1980s the bandstand and fountain were rebuilt and the building's first floor refurbished as a meeting room/museum. In 1982 the park and building were placed on the National Register of Historic Places. See also, Early Belleville and Bellevelle Village Hall, the reverse side of this marker. A second, identical marker on the other side of the park. 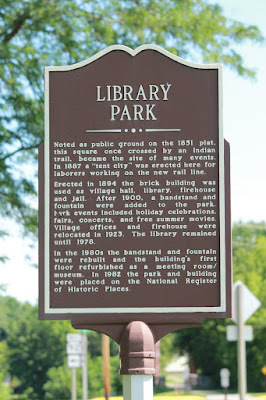 used as a village hall, library, firehouse, and jail.